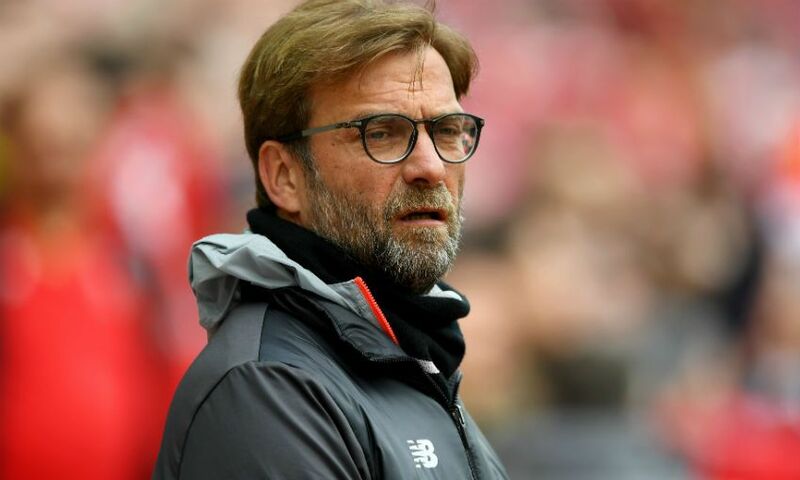 Jürgen Klopp felt Liverpool were both 'smart and emotional' in order to claim what he believes was a fully deserved 3-1 victory over Everton at Anfield on Saturday. The Reds triumphed over the Blues in the 228th edition of the Merseyside derby with a fine display to bolster their hopes of securing a top-four finish in the Premier League. A wonderful solo goal from Sadio Mane set them on their way to three points, though it was cancelled out when Matthew Pennington stabbed home a loose ball inside the box midway through the first half following a corner. Nevertheless, Everton’s joy lasted a matter of moments as a stunning strike from Philippe Coutinho restored the hosts’ lead before Divock Origi came off the bench to make certain of victory with a thumping finish in the second period. Yes, I thought it was deserved. Like always, you have to learn a little bit from the game. We knew about the intensity we needed to be ready for, and I thought we were. After the first few minutes we controlled the game, we found the spaces between their lines, we brought Phil into really good positions. I said to the boys before the game that it needs to be a mixture of being really smart and emotional – not only emotional. I thought they did really well, controlled it and scored fantastic goals. I’m not sure anybody has the assist for Sadio’s goal or Phil’s goal, they did it pretty much by themselves. It was really nice and important, especially after the equaliser, after a set-piece. We spoke a few times about set-pieces, this season and last season and so on. This time, two blocks and we lose one challenge... it can happen. It should not happen but it can happen. When we saw it at half-time and showed it to the boys, we knew when we adapted the formation a little bit, it cannot happen like this anymore. We then did it well. The third goal from Div was another wonderful goal. The last 15 or 20 minutes was a little bit wild, they tried everything and we didn’t have the legs anymore to control the game more. We had a few moments but that’s how it is, you have to defend with passion. We did this. When organisation doesn’t work that well anymore, we have to defend with passion. We did it. So, all good, well deserved. The next game, Wednesday, we will be ready. It’s another home game and a night game, and I can say immediately to everybody who will be here: please start warming up already. We need each voice and we need everybody to create another outstanding performance. It will be hard. You saw the last 20 minutes; for both teams it was like this. Having one day training to bring 10 different countries where the players come from after international duty, 10 different ideas, 10 different jobs to do and you have exactly 35 minutes – the same for all of us – to bring it to kind of one idea again. They did really well, but now we have to recover of course and then we need to be ready again. We will fight for everything. I thought the players showed again that they are ready to fight for everything. Hopefully we can stay in this optimistic mood and can get there. It’s difficult, of course. So far we have played a really good season, but it’s not finished so we have to carry on. I thought in all three derbies we’ve played until now, we were exactly like this. I know a few people – especially from other clubs – think I am crazy because I look like I look, I’m sorry for this but I am really emotional. As I have said a few times, my teams are always top of the fair play table because I think aggressiveness is to hurt yourself. I thought we did really well, again with the importance of the game, not to show anybody that we would do everything for this derby – we had to play football and use the football to do it. We want to be hard, yes, but against ourselves and we want all the players to leave the pitch without injuries. You cannot avoid injuries in football, as we all know, but a few of them you can. We spoke a lot about the national team and said it’s not so cool that they had to leave wherever to go wherever, but obviously I have to say thank you to the whole staff of the Brazil national team because they gave us both boys back in a fantastic mood. It was a world-class goal, another fantastic finish and he made the pass for Div’s goal. He had a really, really good game; really good for us and he was not happy when I took him off. I like his desire, but I thought in this game it makes sense that when you’ve already lost one offensive player, you save another one a little bit.